Wing Covering Material: Covering, painted, decals applied and clear coated. The aircraft has a beautiful flat, non-glossy finish. This is superior to glossy covering materials. It is scratch, tear and wrinkle resistant. The covering material is a brand name covering which has a special paint adherant layer. The covering goes on clear, and is then primed and painted, then clearcoated. 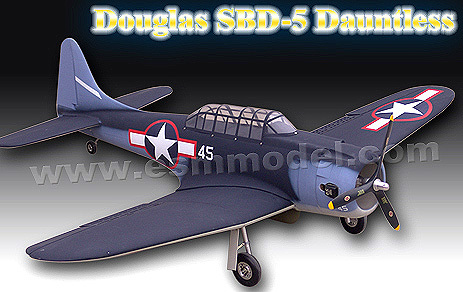 The Douglas SBD Dauntless was the main USN divebomber from 1940 until late 1943 when it was replaced by the SBD2C Helldiver. Built around an 1100 hp Wright Cyclone engine, the SBD was an popular and enduring design, with over 1000 built for the USN and Marines in only three years of service. 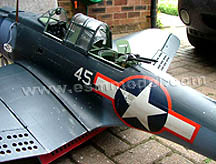 The Dauntless was equipped with two .50 calibre machine guns in each wing, and two in the rear gunner position. This meant that pilots of the Dauntless often took on lightly armoured Japanese fighters, which often lacked self-sealing fuel tanks, and a few hits would knock them out. By virtue of returning to Hawaii from the USS Enterprise, the SBD was one of the first aircraft to fire in anger at the Japanese. Several aircraft were returning to Pearl Harbour from the USS enterprise, only to find it under attack. 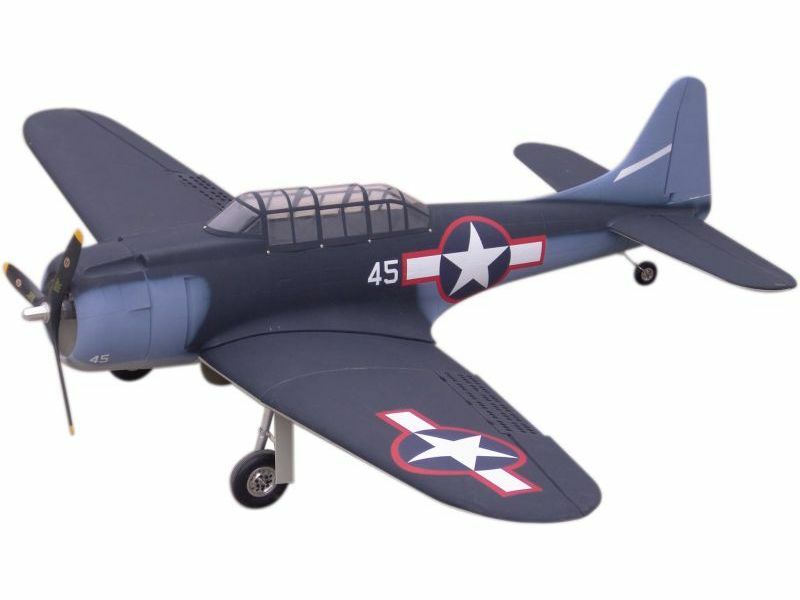 The Dauntless saw its first major engagement at the Battle of the Coral Sea, along with TBD's the Dauntless sunk the carrier INS Shoho, and were also used as fighters against Japanese torpedo bombers attacking the USS Lexington and USS Yorktown. At the Battle of Midway, the SBD was instrumental in sinking 4 Japanese Carriers (The INS Akagi, INS Kaga, INS Soryu, and INS Hiryu), as well as heavily damaging or sinking two heavy cruisers. The importance of the SBD's performance is difficult to overstate, as the Japanese navy was crippled by the losses. The USN would have a much easier time moving from battle to battle with 4 Japanese carriers at the bottom of the Pacific, so it was a critical win for the USN, and the SBD's part in it was essential. The SBD also participated in the Guadalcanal campaign, sinking the carrier INS Ryujo near the Solomon Island chain, and continued long past its obsolescence until the Battle of the Philippine Sea in 1944, after which it was retired in the navy. 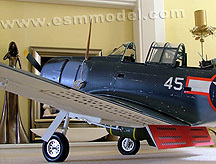 Marine SBD units continued to use the aircraft until the end of the war. It was responsible for more Japanese sunk than any other aircraft, and also finished the war with more aerial kills than losses to Japanese fighters, which is a fascinating statistic for a dive bomber. 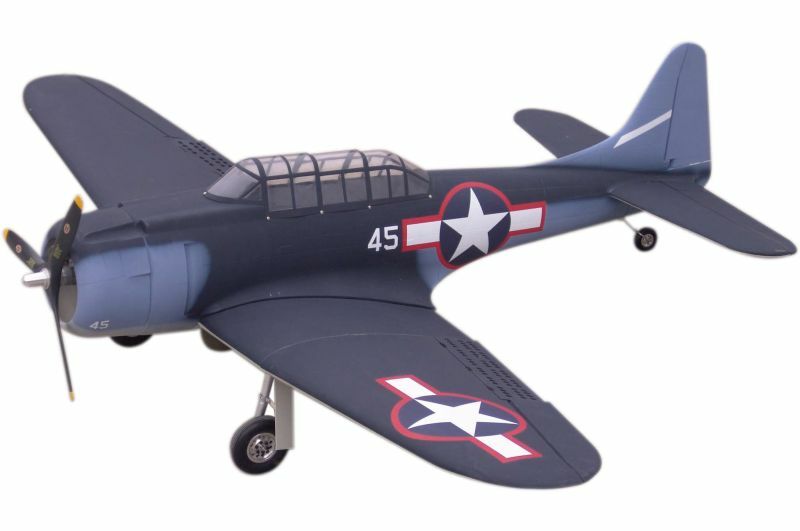 This model is of an SPD Dauntless operated by VB-16, from the USS Lexington during the Tarawa landings in November 1943. The pilots of VB-16 helped the marines on the ground through 3 days of bloody fighting as 4800 Japanese soldiers held out to the last man.